We will be happy to meet requests in terms of a specific position, however this depends on the availability of free pitches. Therefore no claims for a specific position will be considered. We reserve the right to book another position for you. In order to confirm your booking, please make sure you pay a deposit of € 50.00 within 14 days of reservation. In case of wire transfer from a foreign bank, possible costs related to the transfer will be paid by the guest. Once the booking is confirmed, the deposit will be fully credited to your final bill. In case the guest doesn’t pay the required deposit on time or not in full, the camping site has the right to re-sell the pre-booked places. Arrival should take place by 6 pm. In case of late arrival, please inform the reception immediately. 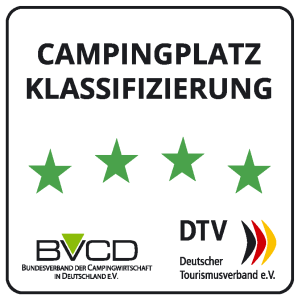 The booked camping area will be kept free for you until 10 am on the following day. In case of no-show by 10 am, the deposit will not be refunded and the campsite will be entitled to rent the place to other people. In case of cancellation or no-show for any reason, the campsite will keep the deposit in full.